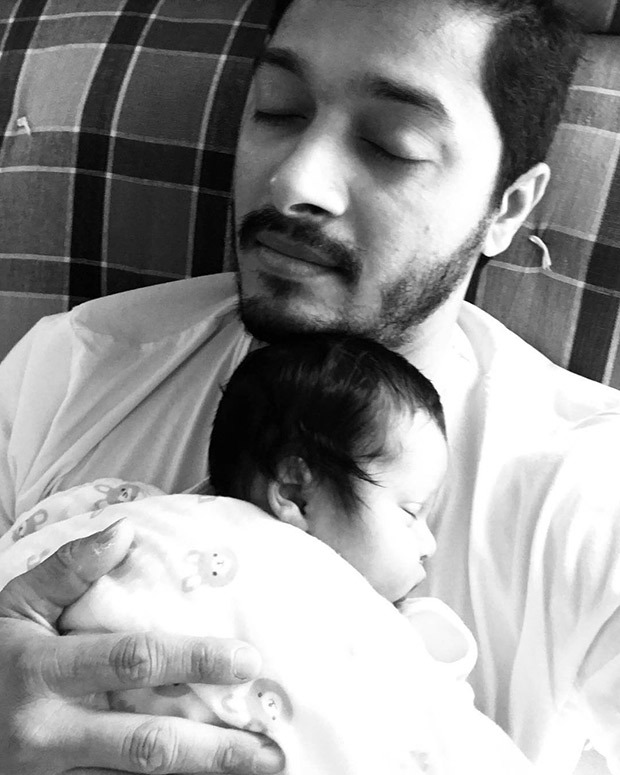 Shreyas Talpade, who is busy acting as well as directing films, was thrilled about turning father earlier this year. The two month old daughter Aadya, which was born through surrogacy, is not surprisingly the apple of the eye of the Talpade family. And it seems that the actor will now miss being around the little tot as he has work commitments to fulfill. Well, this adorable picture of the father-daughter duo did bring a smile on your face, didn’t it? Earlier, when we had reported about the parents welcoming their little angel, we had also mentioned about how thrilled the actor-filmmaker was for his new born. Sources close to Shreyas had even spoken about how the actor often shopped for his daughter even before she was born. It was being said that Shreyas would buy toys, clothes and he even bought a pram, and other important stuff to decorate her room from the locations he visited to shoot for his films. On the work front, Shreyas Talpade was last seen in Golmaal Again, alongside Ajay Devgn, Parineeti Chopra, Arshad Warsi, Kunal Kemmu and Tusshar Kapoor. The actor has been associated with the franchise since its second instalment which released in 2008. Also, the actor ventured into direction with Poster Boys that starred Sunny Deol and Bobby Deol as leading men along with him. The actor was also the producer of the original, the Marathi film Poshter Boyz.